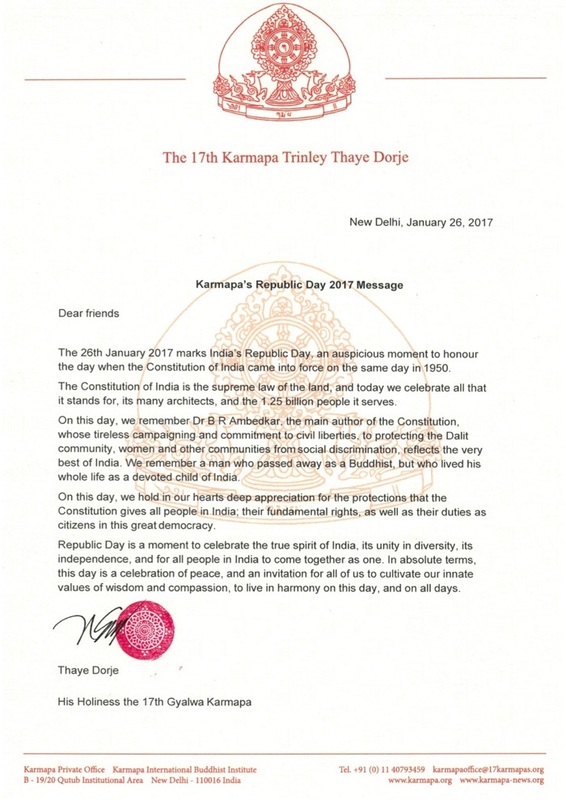 Thaye Dorje, His Holiness the 17th Gyalwa Karmapa, shares this message on the occasion of India’s Republic Day. The 26th January 2017 marks India’s Republic Day, an auspicious moment to honour the day when the Constitution of India came into force on the same day in 1950. The Constitution of India is the supreme law of the land, and today we celebrate all that it stands for, its many architects, and the 1.25 billion people it serves. On this day, we remember Dr B R Ambedkar, the main author of the Constitution, whose tireless campaigning and commitment to civil liberties, to protecting the Dalit community, women and other communities from social discrimination, reflects the very best of India. 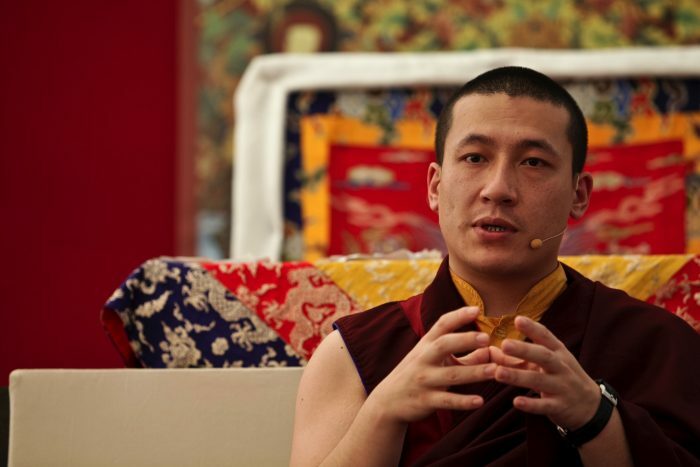 We remember a man who passed away as a Buddhist, but who lived his whole life as a devoted child of India. On this day, we hold in our hearts deep appreciation for the protections that the Constitution gives all people in India; their fundamental rights, as well as their duties as citizens in this great democracy. Republic Day is a moment to celebrate the true spirit of India, its unity in diversity, its independence, and for all people in India to come together as one. In absolute terms, this day is a celebration of peace, and an invitation for all of us to cultivate our innate values of wisdom and compassion, to live in harmony on this day, and on all days.